Today is the day that my free online class on coursera, A Beginner’s Guide to Irrational Behavior, opens to the public. And in honor of this class, my three books will be available as an e-bundle at a discount ($19.99 for all three) until the day after the class starts, March 26th — but only until that date. You can purchase the e-bundle through Kindle, Nook, iBookstore, Kobo, or Google. 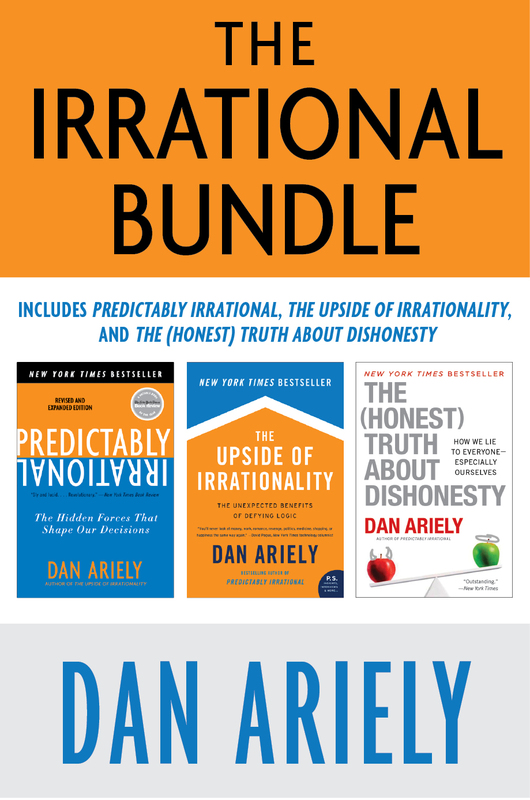 And if you haven’t already signed up for A Beginner’s Guide to Irrational Behavior, it’s the perfect time to do it now! It’s not only FREE and open to everyone, but will surely keep you amused for the next six weeks.